Posts tagged with "beauty and the beast"
Continuing the endless summer vibes in Southern California, Front Porch Cinema returns to the Santa Monica Pier with a one-of-a-kind evening of free, oceanfront movies under the stars every Friday from Sept. 29-Oct. 20. The Pier will be transformed into a cozy front porch environment, providing thousands of movie lovers the perfect setting for a night of their favorite films, scrumptious food, themed cocktails, and special activities for all ages. All Doors open at 6:00 p.m. and films will begin at 7:30 p.m. The series will offer unique on-site activities and entertainment. Come dance as they do in the movies, and experience free dance lessons for dancers of all ages before the series launches with La La Land on Sept. 29 from 6-7:30 p.m., courtesy of ACE and Arthur Murray Dance Center. Additionally, the younger audience will enjoy a special themed arts and crafts activation for the kids courtesy of popular local children’s bookstore, Books & Cookies. The audience can unwind on old-timey lawn chairs, comfy blankets, and watch on a giant screen with the highest quality HD-projection and line-array sound provided by LA’s premier outdoor movie producers, Eat|See|Hear. Attendees are encouraged to bring their own chairs, as only a limited number will be available for rent. Each week there will be curated cocktails themed to the film available in the Cinema Lounge, with beverages from Boulevard Brewing Company and Deep Eddie Vodka, as well as seating for guests to enjoy before and during the film. 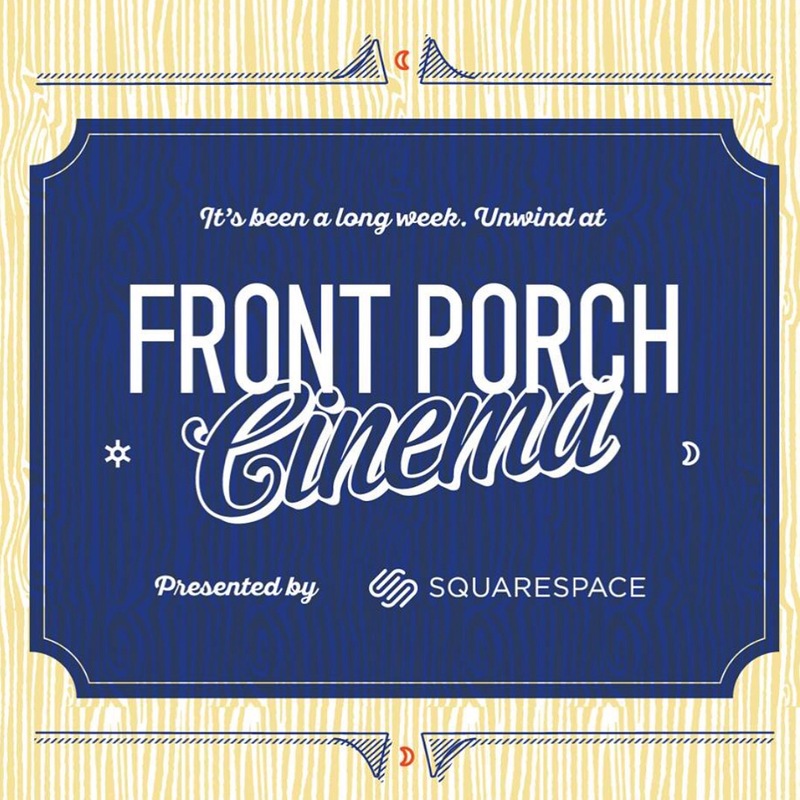 Presenting partner Squarespace will also provide all attendees with a free trial at squarespace.com/frontporchcinema, and 10% off on their first purchase by using offer code FRONTPORCHCINEMA. 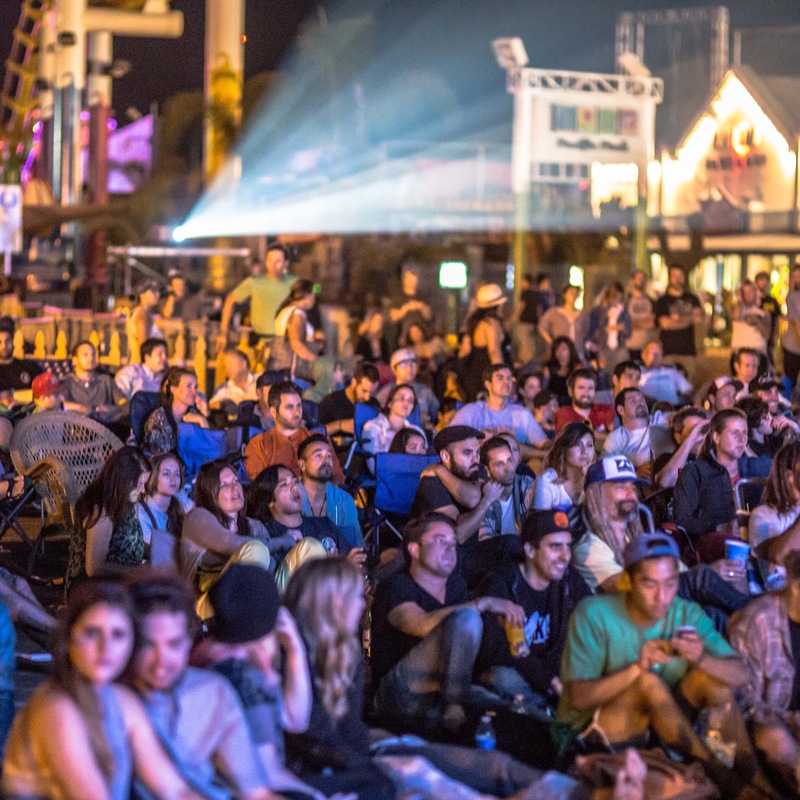 This year’s Front Porch Cinema media partners include LA Weekly, KROQ, KEARTH, and Laemmle Arthouse Theaters Parking will be available in the lot north of the pier at 1550 Pacific Coast Highway, and FREE bike valet will be provided. For more information, please visit www.frontporchcinema.com. Squarespace powers the next generation of the independent workforce by providing millions of makers, thinkers, and doers with the tools they need to bring their unique stories to life. By blending industry-leading design and world-class engineering, Squarespace presents a beautiful all-in-one solution for building websites, selling online, and taking control of your online identity. Founded in 2003, Squarespace’s team of 700 is headquartered in downtown NYC, with offices in Dublin and Portland. For more information, visit www.squarespace.com/about. The Santa Monica Pier Corporation (SMPC) is a non-profit, public benefit corporation dedicated to preserving and enhancing the Santa Monica Pier experience for all visitors. For more information, visit http://www.santamonicapier.org. Voted “Best Outdoor Movie Series” by Los Angeles Magazine in 2014, the Eat|See|Hear outdoor movie, food truck and live music series brings an evening of fun to Los Angeles-area venues each summer. The annual series features up-and-coming bands from the local music scene, the hottest food trucks and the largest inflatable movie screen west of the Mississippi with the highest quality HD-projection with a 52-foot wide image and professional sound. Eat|See|Hear promises an enjoyable movie-going experience for everyone, including dogs. Each event and is produced by LA-based Trailhead Marketing, Inc. For more information visit www.eatseehear.com. This entry was posted in Uncategorized and tagged 360 Magazine, activities, beach, beauty and the beast, Bikes, book & cookies, California, Celebrities, classic films, cocktails, community, Diana Macaraeg, Disney, eat see hear, Emma stone, entertainment, family, family fun, films, food, Front Porch Cinema, hidden figures, la la land, Los Angeles, outdoor, Pharrell Williams, Pier, projector, remake, Ryan goslin, Santa Monica Pier, squarespace, summer vibes, the princess bride, Vaughn Lowery on September 25, 2017 by Pitch360. Missing the Twilight Concert Series? 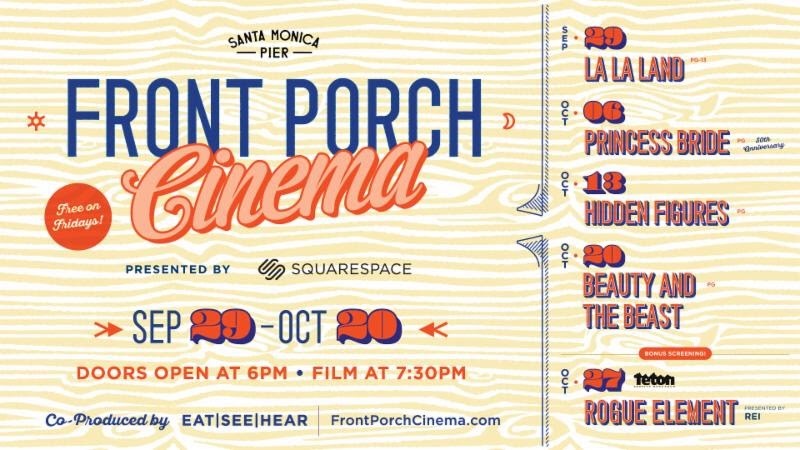 Well, the Santa Monica Pier today announced the return of Front Porch Cinema, the consummate Southern California free movie series under the stars and over the Ocean every Friday night this fall from Sept. 29-Oct. 27. The Pier will be transformed into a cozy and perfect setting for a night of movies, scrumptious food, themed drinks in the cinema lounge, and activities for the kiddos, Mom, Dad, first dates, the cool kids, and all. The audience can unwind on old-timey lawn chairs, comfy blankets, and watch on a giant screen with the highest quality HD-projection and line-array sound provided by LA’s premier outdoor movie producers, EatISeeIHear. Presented by the leading all-in-one web publishing tools company, Squarespace, the series will launch with Ryan Gosling and Emma Stone’s award-winning musical “La La Land” on Sept. 29, then the 30th anniversary celebration of 1980’s cult classic romance comedy “The Princess Bride” on Oct. 6, “Hidden Figures” the story of three African-American mathematician space heroes will rock on Oct. 13, and finally “Beauty and the Beast” a live-action re-telling of the studio’s animated classic on Oct. 20. Capping off the series will be a special premier bonus screening of “Rogue Elements” on Friday, Oct. 27 by extreme action sports partner Teton Gravity Research. This entry was posted in Travel + Food and tagged 360 Magazine, activities, beauty and the beast, cinema, Dad, Diana Macaraeg, dogs, drinks, eat|see|hear, Emma stone, family, first datethe cool kids, free, free outdoor movie, Front Porch Cinema, HD projection, hidden figures, kids, la la land, Los Angeles, Mom, movie going, Pharrell Williams, public, rogue elements, Ryan gosling, Santa Monica Pier, SMPC, Southern California, squarespace, Teton gravity research, the princess bride, the Santa Monica Pier corporation, tourism, trailhead marketing, Vaughn Lowery on September 6, 2017 by Pitch360.